I am actively involved on my campus! 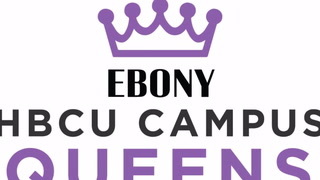 I am a member of Sisters Honoring Entertainment, which is a dance team, a member of Essence of a Woman which is an organization that strives to cultivate young women of dignity on our campus, a member of the Carolyn F. Blakely Honors Program, and a proud member of Zeta Phi Beta Sorority, Incorporated. I also help promote any recycling events we have on our campus, as we morph into a more green university and community. Each organization I am a part of teaches me so much about leadership and effective communication, I would not be Miss UAPB if it was not for my previous involvement!" "My career goals are to be an effective international attorney, and to lead an economic resurgence in black communities that will begin in the Delta region, and then spread to the entire United States. I have a passion for helping people know their rights and be self-sufficient. This lead to my aspiration of being an international attorney so I can ensure that impoverished countries are still being treated fairly in trade deals, and so I may possibly help those countries grow and become more stable. I would like to do the same thing in my communities in the United States as well. I believe financial literacy and knowledge of the law combined, are what bring true liberation. " My most memorable contribution as a Campus Queen was being able to initiate a new tradition at my university which formally welcomes the freshmen into UAPB. I felt that we needed to incorporate some way to increase the pride students have, at the very beginning of their college career. When someone is proud to be a part of something, they will continuously strive to be a part of it, and our HBCUs cannot survive if we are not continuously proud of where we have come from and where we are going. Furthermore it gave the freshmen a sense of belonging which will make them more excited to attend UAPB and to convince others to attend as well. What might seem like a feeble tradition, will eventually lead to an increase in enrollment, retention, as well as pride and respect for my university.